"Cabin Kit Homes" - US company, Low "NAFTA" Prices, Saves Thousands, NO state sales tax, NO US import duties or tariffs, Panelized pre-cut packages. Mountain cabins, Vacation homes, holiday homes, ranch cabins, wilderness cabins, lake cabins, beach cottages, permanent homes, guest cottages, retirement homes. 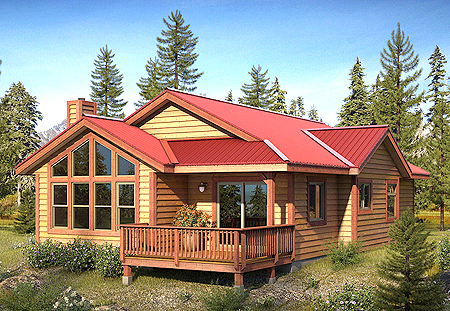 Resort cabins, RV cabins, rental cabins, camp cabins, hunting & fishing cabins, home offices, art studios, classrooms.